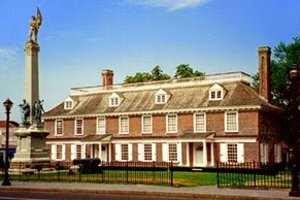 As part of NYS Path through History, join the staff of Philipse Manor Hall on this walking tour of downtown Yonkers. Philipse Manor Hall and downtown Yonkers have both shaped and been shaped by the Saw Mill, or Nepperhan, River. Following the river from its mouth at the Hudson to Chicken Island, patrons will learn about the growth of Yonkers from 1682 to the present, and discuss how these changes are connected to larger trends in New York and the United States. $5 for adults, $3 for seniors and students. Free for Friends members and for children 12 and under. Admission: $5 for adults, $3 for seniors and students. Free for Friends of Philipse Manor Hall and children 12 and under.